Has always been stronger then the other kids and did her first pull-ups before she did her first steps. Movement is her addiction and in climbing it all perfectly comes together. Getting better, improving, learing is what she always searches for. Studied several things but prefers the outdoors. Likes to write and lives also in the VW T3 Syncro together with Dennis. Fell out of a tree at the age of 3, from then on he always wanted to become a better climber. His whole life is in the picture of climbing. Ever since he discovered iceclimbing, he has been inseperable with his ice-tools. 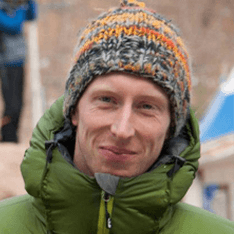 As an Industrial Designer he has a passion for designing climbing equipment. Collects old climbing stuff and has one other hobby, the VW T3 Syncro. It is not just his van, it’s his home. Hiking in the mountains with their parents Dennis and Marianne both were caught by the beauty of the alps: it’s rocks, ice and peaks. Dennis figured iceclimbing on a young age for a Dutchmen (14) and Marianne got dragged into alpinism around the same age. 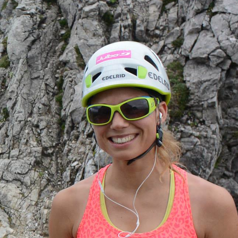 Marianne lost the alpinism because of the lack of mountains in the Netherlands but later picked up sportsclimbing when she started studying at the University. She was instantly hooked and grew fast in the grades. Dennis never lost the ice-addiction and has been part of the National Iceclimbing team for ten years now. Dennis and Marianne found each other four years ago when both were looking for the same interest: icecimbing. Since 2010 they travel together. Mainly in Dennis VW T3 Syncro campervan. Not just in search of climbable ice, also for bouldering, sportsclimbing, trad, multipicth, alpine and the people, landscapes, cultures they meet during their adventures. Their motto is “Der Weg ist das Ziel”, meaning; they don’t just go blind and just want to reach the top. They rather pick a longer climbing line, a good view, or a challenge on they way and maybe not even to reach the top, but just because the line itself is the goal. Both truly live for climbing, traveling to remote and beautiful places to feed their addiction. Adventures like ‘by train through China’, free climbing the Moonflower Buttress in Alaska but also building and growing the Drytooling Community are things they’re up to together nowadays. They travel with their VW T3 campervan through Europe, and since Spring 2016 they live in 100% sustainable Tiny House as basecamp in the Netherlands together with their Dachshund Odinn. For the upcoming years they will keep on joining the Worldcup iceclimbing (and hopefully win again). They will keep on spreading the climbing sports by giving courses, workshops and lectures. And within a couple years they want to start on their big project: China and back with the VW T3 Syncro!